A Link show. James and Per discuss three articles found during their digital travels. We begin by talking about Deception and when does persuasive design become evil? Ethnographical research gets a run-through – too achedemic, or value for money? Finally we tackle the question: should designers code? Do we become pegasuses or unicorns? 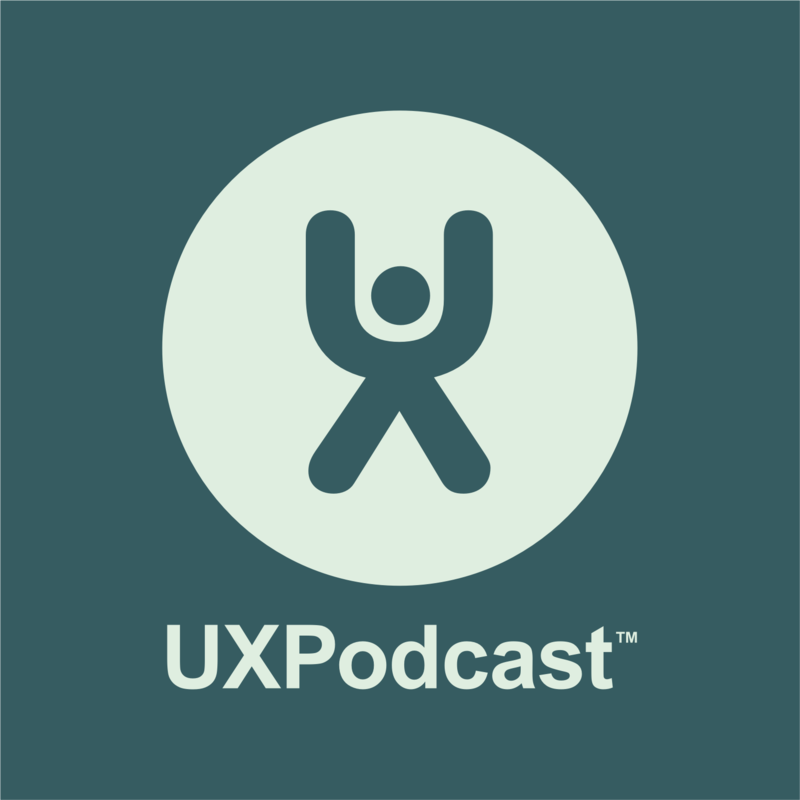 Per: Hello and welcome to episode 54 of UX Podcast. You’re listening to me, Per Axbom. Per: And you will notice I did not scream hello. James: No, you didn’t. We practiced before the show. Per: Yeah. Well, I was thinking about it real hard now. Per: It is really difficult not to say hello loud because I’m so excited every time we record something. James: Yeah, we’re so happy to be here. Per: Lovely day in Stockholm. It’s a bit colder now going into August and I haven’t slept really well actually so I’m really tired this morning. I hope you will do most of the talking James. James: As long as you’re not grumpy. Per: I may slur and not talk very coherently but never, never, ever grumpy. James: As far as kind of like building up buy-in for this episode, you’re doing a fantastic job there Per. Per: Really? Aren’t I? What are we talking about today James? James: Oh, well. Today is a link show. Per: Yes, finally! We haven’t done one in a while. James: We haven’t done for a while. No, we’ve been quite wound up about certain topics. We’ve had a few topic shows and a few interviews including Brad Frost who’s in Sweden at the moment. Per: Right. He’s in Malmö. James: Now, he is. Yeah. Also we’ve decided to throw together a link show. So we’ve got three links, articles to talk about today that we’ve found during our digital travels. James: As they are normally right? Per: And we don’t agree with any of them apparently. James: It would appear from our little chat this morning that we don’t agree. Per: We are really hard to please. James: Today we seem to be. See, see grumpy old men who haven’t slept. There we go. So which one is first? Per: Let’s start off with deception. James: This is How Deceptive Is Your Persuasive Design. Per: Yeah, it’s an article by Chris Nodder on the UX Magazine and you know how we design stuff and we have gotten into the habit of realizing that we need to use all these psychological tactics and techniques for persuading people and we’ve in recent episodes talked about social proof and scarcity and all these different things. James: There’s a business drive there that the business themselves want to convert everybody into customers. Per: And I think the hotel business is really good at this. Hotels.com, I mean you can find so many examples right there. There are not many rooms left. You have a special price offer that runs out in 10 minutes, stuff like that. So you really have to act now and buy or you lose a lot of the chance of making good deals. What they want you to feel. And Chris Nodder has some examples in his article as well. He starts off the Amazon example, where what’s actually an old bookstore technique that has been used pre-internet of course is having as few books in stock as possible of new releases so that they’re sold out really fast. James: Only one left in stock. Per: Yeah, maybe, and it supposedly gives you an incentive to buy now because maybe you will not be able to buy one if you come back tomorrow to buy it. James: Yeah, it’s the principle of scarcity there, that you think that something is scarce and that you need to get it now. Before it vanished. He mentioned this as the Tom Sawyer effect. James: Which is from Mark Twain’s book where Tom Sawyer, as a punishment, he has to paint and polish the fence, to whitewash it and as a punishment – He thinks it’s a punishment. He thinks it’s a really dull job and he convinces – manages to convince his friends into thinking that painting the fence is a privilege. It’s something that is an honour and a privilege to do it and they weren’t all allowed to and that’s going to make some of it kind of jealous and make some – well, I really want to do that because we’re not allowed to do it. So he ends up charging them for the privilege of painting the fence because it is a privilege and they believe that. So he has deceived them and made some money from it. James: As long as it lasts. Per: As long as it lasts. They don’t find out about it later. James: … the only time it comes to an end is when they found out the magic behind the deception. They did realize that it’s a punishment. This was actually not fun at all. Per: Exactly. Which is really strange to have an experience where you’re thinking it’s fun and then to find out another detail later on and realize that, oh, that wasn’t fun. Even though you had the experience of fun, that’s – I haven’t thought about that a lot actually. But how can I change your perception of something that happened earlier that you really enjoyed? James: So you go from euphoria, the moment of purchase and then you’ve done a good deal, to crashing down when you’ve had the magic trick revealed. Per: That’s an excellent example and this is where I start having trouble with Chris’ article as well is when he starts seeing that it’s OK to deceive people if it’s in their best interests. Per: How could you possibly know? You need to have so much information about the needs and habits and desires of the person you’re selling to, that you have to be really, really certain that it is in their best interest that they buy this product from you or read whatever information or download or subscribe or whatever it is you’re trying to persuade them to do. But how can you really be sure that that’s in their best interest? It’s a misnomer to me, you can’t really do that. James: Now we’re still talking about the commerce, the transactional side of persuasion. You’ve got the service side of persuasion. When you provide information rather than – or even healthcare stuff, that side of things. Why does persuasion or deception in that side of the scale is hard to be relevant and good? Can you deceive people into making the right choice as opposed to the right purchase? See what I mean? Per: Yeah, I know exactly what you mean and I think it’s Dan Ariely that has the example of people signing up for donor cards, donating their organs after their death. Per: And that’s really different in different countries. James: In some countries it’s default isn’t it? Per: Yeah, and the reason is – yeah, what’s default on the form. If the default is that you actually donate, then it’s going to be higher. So you’re actually deceiving people to donate their organs which you would perhaps think that’s for a good cause. But in the end, are people aware of what they’re actually doing? If people aren’t aware, I mean how stupid can people be? Apparently, they are pretty stupid. We all are. I’m not saying the user is stupid but I’m saying we’re all ready to be deceived really. James: I think that’s a good point. Most of our designs are trying to persuade people to do something and it makes me remember now Jesper Åström who we talked to in episode 39. A really clever guy and we had a really good chat to him. James: He said the other day that he actually feared for the free thinking of mankind because of how easy it is to manipulate people online. James: You can just change the font on a website and conversion rate goes up or you can make a tweak here and there and suddenly people are starting – I would say there’s only one book left and people buy it. Maybe just kind of worried about how little people think for themselves because of the various persuasion techniques we can use and do use to succeed online. James: Social media and we had a case in the UK of social media bullying of a young girl who took her own life allegedly because of online bullying. Per: We’ve had cases like that in Sweden. Per: So it is pretty scary. So basically I think it comes back to what is the intention of the organization who owns the website. If their intention is to deceive you, then they’re doing it wrong. If their intention is they really, really believe that they have something good, then you can perhaps start to question. Is it OK for them to use all these techniques to actually think that you needed more or faster or now perhaps than you would otherwise? James: We chatted briefly about this before the show. Deception and persuasion. Deception by definition is evil. Per: Yeah, it is. Yeah. James: If you’re deceiving someone, you’re hiding the truth whereas persuading is actually just arguing. Having an argument as such. I think the discussions are using techniques to kind of make people understand the benefits and understand that this is a worthwhile thing than trick them. James: So I think yeah, your persuasive design shouldn’t be deceptive because in the long run, that’s going to hurt you. Per: But where do you draw the line of deceptive? When you change the wording of a button from “click here” to “buy now” and you realize that you get more leads or more buys with one text or with the other. Is one more deceptive than the other? James: In that example… I wouldn’t probably class that as deception. Whereas the aeroplane, the ticket, artificial inflation in terms of how many visits you’ve made or searches you’ve made, that’s deception. Per: But there is stuff I work with everyday. I mean even copywriting. I know if I write something in a certain way or use storytelling, the more people are going to start listening and they will have more of a chance of actually persuading them to do what I want them to do. James: Isn’t that good communication? Per: It is good communication or it’s like people selling hair medicine like in the old West. James: That’s snake oil. That’s different. That’s deception because it didn’t work. Per: Hmm. True. But am I sure that what I’m selling is going to work for the person I’m selling it to? James: Sure, if you’re open about the fact this is not for everyone. Oh, you’re right. It’s marketing in numbers. Per: This is really hard. James: It’s ageing cream on your – you know, 90 percent of women said this made their skin less wrinkly. Per: I’m feeling really philosophical now. But he does I think – you should check out this article and also read some of the comments. I think they’re saying a bit of the stuff that we’re saying as well and he does have a diagram in there that we both actually like. Per: I mean there are – of course there are shades of gray. It’s not black and white and I think that’s very apparent. Per: So I mean if you have another take on this, I would love to hear it because I think this is a really interesting thing to dive into, deception or persuasion or something in between. James: Design ethics. Time to move on. Per: Let’s move on to another UX Magazine article actually written by Jessica Weber and John Cheng. It’s called Making the Most of Ethnographic Research. James: Yeah. So let’s start off with what’s ethnographic research Per? James: You know, now you have to explain two things. Per: I know, but that’s easier to explain. GOOB means “get out of the building” and ethnographic research means “go visit the gorillas”. James: I mean seeing people and communicating with groups of people and interaction. Per: Right, ethnographic research can be done in so many different ways for so many different purposes. I mean you could be – to find a new market area but also to find out more about the type of target group that you’re actually selling to already. I think many people have heard about going to skate parks and researching the kids, observing the kids and understanding their lingo and what they’re talking about and that using what they say and their habits and their needs and desires and pleasures that they’re actually – well, I don’t know, communicating in the sense that they’re talking to each other and you as an observer can kind of draw conclusions from that and make better products for them and that’s the essence. You’re trying to make something new, trying to make something better and you go out and observe people, to learn more about them and find out how could I – I don’t know – satisfy their needs in a different way and that sounds also – get ahead on my competition. James: Well, in the article here it says “ethnographic research is all about discovery of the unknown, disproving assumptions about user behaviour and uncovering unexpected insights”. Now I reacted a little bit to that line because that meant – it sounded to me – it made it sound bad that ethnographic research might prove an assumption correct about user behaviour or might actually fail to uncover something new. And that’s not what it’s all about to me. It’s not just about the discovery of unknown or disproving if the assumptions are uncovering expected stuff. You can confirm things with this as well. Per: Absolutely. For me, ethnographic research is about sitting down with people and in their natural environment. I mean that’s why I said go and visit the gorillas. It’s in their natural habitat and where they’re doing stuff and talk to them, observe them, get to know them and they won’t feel so self-aware about – like in a traditional usability study, people are very self-aware of their being evaluated or something is being evaluated and I had to give the right answers and stuff like that. James: I thinking about the fruit now.. Per: Right, and you need to get to know people for them to actually feel confident enough to actually tell you what they really are doing or saying or acting like and what they’re using. I’ve actually done one of these studies like in a bank. I don’t know how much I can say right now but it’s a bank. So I was sitting in a branch office with the other people and I was really – we were making a new intranet design and I sat down there with them for a full day. I was actually watching them take care of customers. People are walking in and I had just a note on my table saying that I wasn’t giving service that day so everybody just thought that I was an employee. I mean and they got really confident with me sitting there. I mean after a client walked out, I could bring up my table or my chair to their table and have a chat about how that went and maybe they told me something about – yeah, maybe I should have told them something about this other service we’re offering but I didn’t know where to find it on the intranet. So I didn’t sell them that. That gave me a really great insight about how the intranet is supposed to help people sell but it wasn’t and the bank was losing a lot of business due to this. So that was getting the insights thanks to actually being out there for a day in their habitat and not just calling them up on the phone and interviewing them and I wouldn’t have found that out at all. James: That sounds good because it was a day. It was quite a reasonable thing. It was insights. It was nicely packaged then. Both me and you, we believe in this kind of talk to the user and get out there. I mean we mentioned how many times during the couple of years of the show but this article got me a bit irritated about the fact that it was very, very academic and made me react against ethnographical research. I was like yeah, it may be challenging to get organizational buy-in to pursue ethnographic research because of its long time horizon for results, its cost and the perception that it may not deliver efficient results. I mean it’s impossible. Per: They’re making a case against ethnographic research. James: You say if you spend the day and sat down there observing and you can get an awful lot of input. Per: You can sit in a café or a hotel lobby and just observe people and draw conclusions from that. Per: Yeah, they’re making it a lot more academic than it has to be. They’re putting up rules for how it has to be done and I don’t really agree with that and they’re making it seem a lot more complicated than it should be. James: And making it sound like it’s only for large organizations. James: Who don’t care about return on investment. Oh, but unless you’re a start-up. I reckon a lot of time, you’re going to be better off testing or tweaking, iterating as far as return on investment goes than doing some of these lovely, deep, honest studies that potentially show that the company’s product is utterly useless. Per: Yeah, I completely agree. James: No one wants to buy that. No one wants to buy a survey that’s going to tell them that their entire product is useless, I guess. James: Oh, that was one of my favourites, yeah. James: I can link to the film. Per: Yeah, and just that, I mean that took half an hour and that’s one form of ethnographic research as well. James: In a couple of shows ago when we talked about intranets, after Intranätverk, there we brought up the example of IKEA redoing the intranet. They went out and interviewed. They filmed employees from various different points of the world, asking what they wanted from a future intranet and they just got to speak for a minute and talking about what they wanted. James: Some of these things are not pure ethnographic research but I don’t think you need it a lot of the time. Per: For me, there’s no pure anything. Per: They’re just different schools. Per: And I mean if they’re going to make the case that this could be expensive and maybe not give results that you want, I mean that’s – you’re doing it wrong. You need to get results fast and the more results you get fast, the more buy-in you will get to make the longer studies. So starting out quick and dirty will give you management buy-in to do the better studies. James: If you’ve got goals or you know what you’re trying to achieve with whatever digital product you’re working with and you can measure them, then whatever you’re doing, whatever you’ve got to do whether it’s research or tweets or whatever, if it brings you close to those goals or shows a rise in conversion of whatever you’re doing, then you’re doing it right. James: Maybe not as right as something else but you’re obviously doing something more right than you were doing. Per: I think we’re in complete agreement there. Per: Moving on, I think. Per: This is one you found I think. I love the title. James: I found a response to this article first and then I went back and read this one which is interesting. But I thought we will use this one as the talking point. Per: So the title is Unicorn, Shmunicorn – Be a Pegasus. James: So we’re all clear on exactly what this is all about. Per: Oh yeah, and it’s the blog of Wayne Greenwood, MC UX. Dropping Soft Science is its tagline. OK.
James: This is basically about – oh, should designers code? James: It’s a topic we’ve touched upon a few times before I think. Per: I think so and mostly because both you and I James I think like code. James: We do, although these days I wouldn’t say we’re coders. James: It doesn’t even our little intro say that? Per: Yeah, exactly, right. It does. If we don’t understand the technology, then we won’t be able to have the right tools to accomplish what we’re trying to accomplish. James: I think to back up a little bit to what the article is saying here, when saying that he doesn’t – he’s basically saying that unicorns are this mash-up between designers and coders, the one that can do both. So I suppose it’s one body that encompasses both scales and he thinks this is a step back in time to like the 80s and 90s where everyone was coders who were basically producing – doing the full job, producing the software and designing it as a consequence of the fact that they were coding it and shifting by making this combined – these unicorns, shifting your attention away from the user and back towards the technology. Which he says got us into the mess we’re in, in the first place. James: But I don’t agree with what – obviously what we’ve already said though. We don’t really agree with him. I don’t think we’re getting back into the same mess. I think it’s more that we were – we know how quickly and how much the whole branch has been evolving. I mean it’s so quick how we’re going forward and learning things. I think we were ignorant in the 90s. I don’t think it was – it wasn’t that we deliberately got ourselves in that mess. We were – the people doing software, when I was programming in the 90s, user experience, improving user experience was about fixing bugs. James: Yeah, because my boss was the one who decided what products we were making and he talked to them. He did some research by talking to his customers and things and found out what they wanted but for me, my view point is a programmer who effectively designed as well. If I improved it for the user, if I made it faster, if I made it less buggy. Per: You had the requirement specifications and if it didn’t meet those requirements, it wasn’t useful. James: Yeah, I don’t think we were going to get ourselves into a mess. That was what we – we did back then. We have moved on. James: Don’t get me wrong. It’s not the certain things. I mean HCI, human computer interaction, I mean you could study that. James: It was courses at university but it wasn’t really applied in the same – people doing the programming were maybe too young back then to have gone through those courses. Per: And people weren’t asking for it. James: I know. They’re were not interested. I wouldn’t think I would have a hell’s chance of being able to do something like that even if I’ve come out of university and gone into it. There wasn’t the understanding there. So we’ve moved on. We’re mature and I think as much as you can – you can focus most of your like on the user. You should, but you can’t get away from the technology. James: In the branch we’re dealing in, we’ve always – at the end of it, you’re always going to come back to technology. You can’t not. It’s fundamental. Per: It’s what it’s based on. James: So by ignoring the code side of things, by ignoring how it’s implemented as a designer, you’re creating a silo for yourself and you’re distancing yourself from the end result. James: And there are situations where maybe that is fine. Innovation, conceptualization. Per: Yeah. I mean there are times when you should actually stop thinking about the limitations and go wild, go crazy and think about what we really want to accomplish. What would be the dream scenario? James: There’s a thud. We have to come back down to earth because we have to produce something. Per: We have to accomplish something. James: Yeah. And then you can’t ignore the technology because we’re going into it with the whole white elephant projects. You get into situations where you get to the point of implementation and someone goes, “You got to be kidding. You can’t do that.” For me it’s all about like how can you – it’s a bit like if you were a car designer, but refused to accept that wheels are round, so you end up designing a car with square wheels. James: I don’t think that falls into – you can’t – I don’t think we’re killing innovation by saying that you’ve got to design cars with round wheels because if you are designing a car, I think today I’m not going to expect that you understand a certain amount about cars, so that it’s going to move on when I try and drive it. The same thing with digital design or web design things. I’m going to expect that you a designer are going to understand a certain amount and we see it constantly where designers don’t understand enough and you end up with things that fail usability-wise, fail SEO-wise, fail conversion-wise. Per: Bloated and huge and just haven’t thought about the complete experience. Just think about the visual experience. But I don’t think we’re saying that all designers need to code. Per: What we’re saying is that you need to be aware of it and then have an understanding for it and have the dialogue with the people who do understand the technology because that’s what I do. You need to bring – the whole team has to be there early on. It’s not a solo approach by a UX designer. You bring in everybody from the start. This is what we’re trying to accomplish, what our options and we start designing it and the technology people are there or you know enough about it yourself. You realize that OK, we can do it this way or that way. That way, the technology is going to cost 200,000 and that way it’s going to cost 20,000. Is it worth it for the user experience to go the more expensive way? That’s the way you balance it. Going through all those steps with every decision you’re making. Per: They need to have an – I mean I think we’re getting there. That’s my experience now is that they really have a respect for what I’m doing and I have respect for what they’re doing and I’ve been in situations where the coders have had better design suggestions than I have and you need to swallow your pride sometimes and realize, “Oh my god, if we do it that way, you’re right.” I mean most people have experienced designing stuff now. We’re doing these online services for a few years. Per: And people have seen different solutions and people surf online and they take impression from other sites. So it’s not like you have that one and only solution because you’re the UX designer. A lot of the different competences in the organization have lots of ideas. So when he’s saying also that a company that doesn’t have a fulltime UX designer doesn’t understand the value of UX, that’s not true either because you can have that across the whole board and that’s what you really want and also the tagline of our show actually. Break down the silo. Per: UX is part of every role in the organization. It’s not just one person. James: Yeah. If you ignore one aspect, you’re more likely to fail. I think now I’m just thinking again about future-friendly. James: Brad Frost, a coder by background but also a bit of a UX designer these days in what he does. Thinking about how we work with future-friendly responsive and the plethora of different screen sizes we’ve got. You as a designer who has no feeling and understanding for code or technology, you maybe will design a desktop website because that’s seemingly perfect in your world without any consideration of the fact there’s all the different technologies and screen sizes. How can you possibly be a great designer in that kind of multi-screen world without an understanding of the technology? A level which does get very close to coding, as in you would understand how it’s built inside. So yeah, again, we’re not saying that you need to be a coder but there has to be a proximity there, a closeness to your end medium. Per: But I do feel maybe we’re being a bit hard on Wayne here as well because I think he has a fair point about – I mean you can go both ways. As a UX designer, if you want to develop, I mean you could either go into coding or I mean learn more about coding. I’m not saying you have to necessarily go into being a coder but you can also go the other way and approach management and see if you can actually be a more visionary employee, have a more visionary status where you actually take control of the whole situation, in which case you could actually be the person who understands that technology is important. But you have it on a higher management level and he’s making it really the case for that. A UX person could perhaps be a person who is of more value to the board than someone who works within the IT organization perhaps. James: You’re right. He does admit. That is kind of – oh, closing the line there. There’s another space for the unicorn. Unfurl your wings and have the overhead view of the business instead and be a Pegasus. We can’t all – all UX can’t be Pegasus. Per: No, but some can. James: Absolutely. You need to get UX people higher up the chain and so on. But he’s saying don’t be a coder. Be a business analyst. It’s basically what he’s saying. Well, that isn’t going to directly produce better digital stuff. It’s part of the long term though but I don’t think it’s a fork where – I don’t think we should just shift everyone that way. Per: No, absolutely not. That’s not what I’m saying. I’m saying that as a UX designer, if you’re not getting people – oh you feel that nobody’s understanding you, then you have different ways to go and this is one of the ways to go. You can perhaps make a case for being – playing a more important part or role in the organization but I mean that takes some balls actually. James: Well, I think it obviously takes the right organization as well. Per: Yeah, it does very much so, and I think the only way – I actually have to come back then. The only way to get people to listen to you is to show results. Per: If you’re not showing results, you’re not going to take this route anyway or you quit your job and do something else. James: Yeah. Wayne here as well says if your company doesn’t feel that UX design is important to have a fulltime position, then he basically says don’t work for them. Per: I want to change that and say if the company doesn’t feel that it’s important enough to have a UX person, then you’re doing it wrong. All right. Isn’t that true? I mean if you can’t show that you’re valuable, then you’re doing it wrong. James: I agree with you to an extent but to me that’s the whole kind of – I think Wayne needs to work for a smaller company for a while because I work with lots of companies where they don’t even have a fulltime web person, let alone a fulltime UX person. It’s not like they don’t understand or appreciate UX. Maybe they just don’t have the budget for that or maybe they’re not mature enough as an organization to take on that role. It’s not a definition that says if you don’t have a UX-er, then clearly don’t understand UX. We’re not there yet. We’re not all multinationals. We’re teams of people working on stuff. James: It’s a sliding scale. Per: And it’s getting back to the really tough conflict of explaining how UX brings monetary value to an organization which often is really hard. James: And for smaller organizations, it’s nigh on impossible when you enter the really small organizations to sell in multiple roles. You have to be multiple roles. You have to be the designer who can code because they’re not going to spend money on two people. They’re going to come to me or you or someone else and say, “Well, can you do that wordpress site?” So then it’s your responsibility to code a little bit and to think about the UX side of things and to analyze their business needs to make sure you package it all together. James: Yeah, improve results straight off. Yeah. So yeah, so next time round, you’re getting maybe more buy-in for the next step up in the UX because you’ve shown that just that little change can make that much. So maybe another change can make that much more. Per: I think James we have to get you off to a meeting. James: You’re right. I forgot to look at the time. James: Oh, blimey. No, I really do have to go to a meeting though. Per: You’re in a rush. OK.
James: I’ve got to really rush now. Should I just throw the mic down and run. James: You got the keys. Per: James, remember to keep moving. James: I’ll see you on the other side!